The trailer for the upcoming Harry Styles documentary has been released by Apple Music. The new documentary will go behind the scenes of Harry’s self-titled new album, travelling across the world and detailing each step of the creation process. 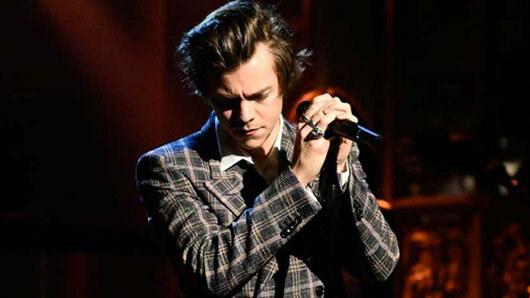 The upcoming album is Harry’s first as a solo star, after previously scoring five hit albums as part of international boyband One Direction. The group went on a break to explore other projects last year, which for Harry included his first solo album and a guest role in the upcoming Christopher Nolan film Dunkirk. In the trailer, he discusses the fear about going solo: “I’ve never had the process of making a full album in the way I did with this one… I kinda wanted to see if I could write something people liked without knowing everything about me. Harry Styles: Behind the Album premieres on May 15 on Apple Music.